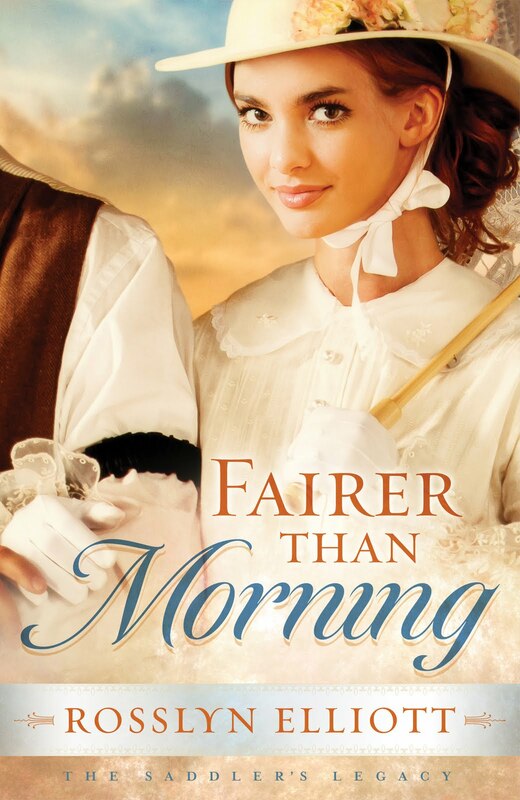 Fairer Than Morning is the fictional account of two real-life families, the Hanby's and the Miller's. Will Hanby was indentured to a cruel master, Jacob Good, after his parents died from illness while he was just a boy. Ann Miller is the daughter of a saddler who has suffered loss of her own mother, and has become the caretaker of her two younger sisters. Yet God can restore them... and that He does as he not only frees Will, but calls him to free those who are enslaved just as he had been. This book is full of emotion and will keep you hooked until the very end. 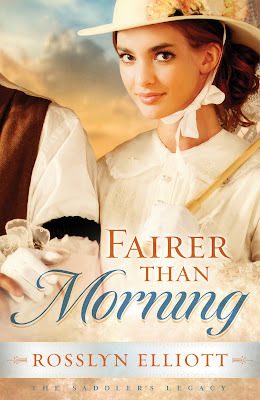 Rosslyn Elliot did a wonderful job of telling the fictional stories of these historical characters. I found myself getting angry not only at some of the characters, but at history itself. I was pulled in to the suffering of Will, the grief of Ann and the feelings of others around them. The picture was painted in vivid detail and I wanted so much to reach out to Will and his friend Tom. It was hard to read how one human being can treat another as property. Equally, it was a joy to read about those who followed God and honored Him in the way they valued every life. They sought to help others they way they themselves had received it. They offered grace, mercy, and forgiveness. Check it out. It is the first in the new series The Saddler's Legacy. I will be sure to follow this one. I think you will enjoy it too!... especially if you are a Historical Fiction fan!